Can we predict the compensatory hyperhidrosis following a thoracic sympathectomy? Primary hyperhidrosis is a functionally and socially disabling condition resulting in social embarrassment and low quality of life. Thoracic sympathectomy is a definitive choice of treatment with favorable results. However, patients may face another embarrassing condition following surgery as compensatory hyperhidrosis which has no definitive treatment. The predictors of compensatory hyperhidrosis are controversial and remain unclear. A total of 74 patients underwent a videothoracoscopic sympathectomy for primary hyperhidrosis. We statistically analyzed our patients with correlations and uni-multivariate logistic regression models to outline the possible predictors of compensatory hyperhidrosis. A total of 45 (60.8%) patients had compensatory hyperhidrosis. The correlations showed that patients, with age greater than 21 years (P = 0.018), with body mass index (BMI) greater than 22 kg / m2 (P = 0.045), with isolated facial hyperhidrosis (P = 0.044), and with smoking status (P = 0.015), had significantly greater rates of compensatory hyperhidrosis. Similarly, the significant univariate predictors of compensatory hyperhidrosis were age > 21 (P = 0.020), BMI > 22 kg / m2 (P = 0.048), and the presence of smoking status (P = 0.015). Multivariate analysis revealed only smoking as a predictor within the threshold of significance (P = 0.078). The clinical predictors of compensatory hyperhidrosis following a thoracic sympathectomy appear as older age, greater body mass index, and smoking. 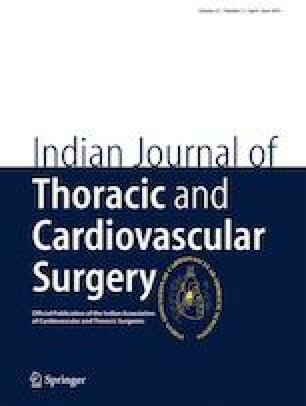 This study was presented at the 25th Annual Meeting of the Asian Society for Cardiovascular and Thoracic Surgery (ASCVTS in Seoul, South Korea, 23–26 March, 2017. Our study has been performed in accordance with the ethical standards as laid down in the 1964 Declaration of Helsinki and its later amendments or comparable ethical standards. This is a retrospective study on a series of patients who underwent a thoracic sympathectomy for primary hyperhidrosis and “for this type of study formal consent is not required.